Shares in Bankia have been suspended from trading on the Madrid stock exchange. The bank's boss is expected to tell his board Bankia will need another 15bn euros according to news reports. That is on top of the 4.5bn euros it has already received from Spanish taxpayers. One in ten Spaniards have savings with Bankia but the bank came close to insolvency due to huge losses on home loans. 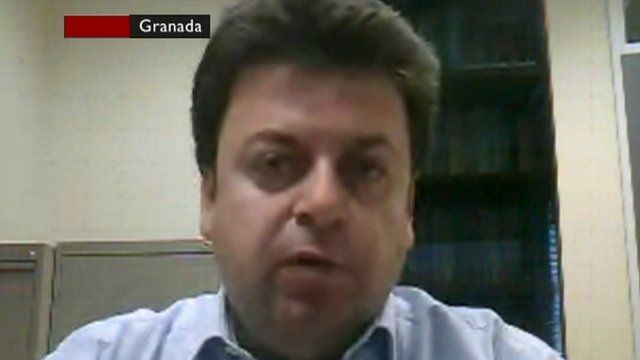 Professor Santiago Carbo Valverde, University of Granada, told the BBC: "Bankia had huge exposure to real estate and bad loans"